Now for the details. 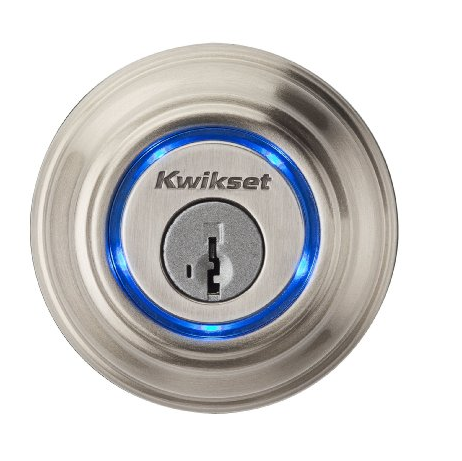 The lock works by using UniKey technology and Bluetooth Low Energy 4.0 to trigger a deadbolt. Owners just have to tap a finger against the Kevo to unlock it, as long as their phone is in range. 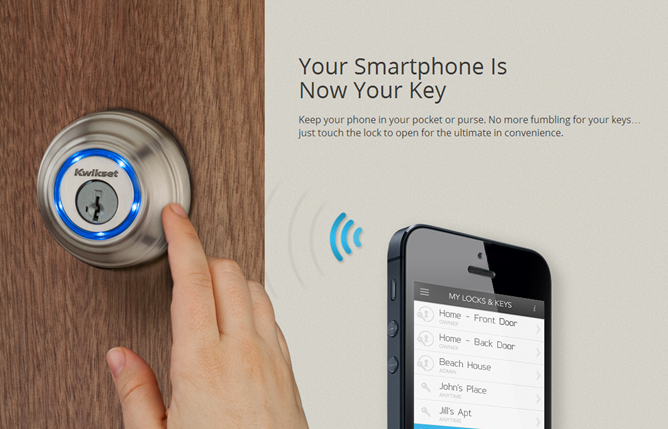 It won't unlock the door if someone else touches it while your phone is nearby inside, as it's smart enough to detect the proximity of the phone and reacts accordingly. 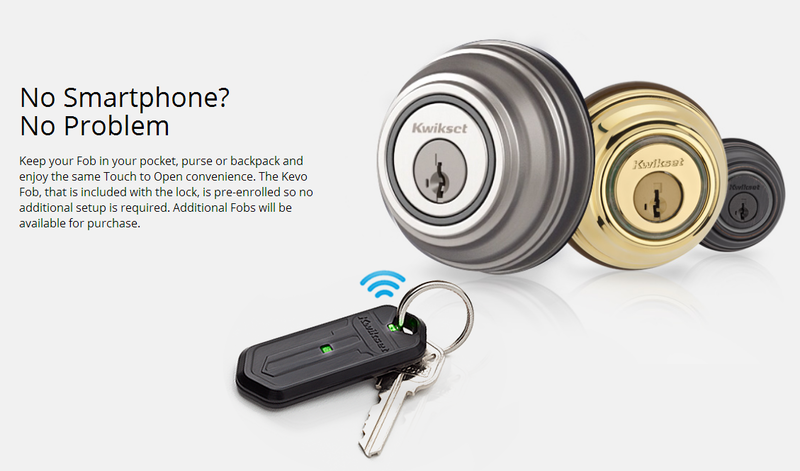 The Kevo also ships with a key fob, so children can get in without parents having to supply them with a smartphone of their own. If you have multiple children or don't have a smartphone yourself, additional fobs are also sold separately. It should come as no surprise that the Kevo can also do other things that physical keys can't, such as the ability to send digital eKeys to friends and family members. Owners manage these keys on their smartphones and can delete them at any time. This means it's possible to grant someone an eKey just long enough for them to enter the home once, saving the laziest among us the effort of getting up to unlock the door. Watch the video below to see the tool in action. The Kevo isn't shipping until September, but it's already available for pre-order. Anyone who is ready to bite can place an order on Amazon, Newegg, Home Depot, or Build.com (they currently say the device ships at the end of October, but they will probably adjust that once they know a better date). The Kevo is going to set you back $220, but hey, how often does home improvement ever come cheap? Update: The Kevo is only compatible with smartphones that support Bluetooth Smart Ready/Bluetooth 4.0. An Android app is in the works, but the release date is not yet available.